From childhood, girls love to play with mommy’s makeup. As the years go by, teen girls may not even dare to go out without makeup. Over the years, women use some form of makeup on almost daily bases. Cosmetic brands are a multibillion-dollar industry and women are willing to spend any price for beauty. Unfortunately, many of these cosmetics may contain toxic ingredients with potential harmful health effects. The price may not be paid until later in life with different degrees of sensitive skin and other health problems. Phthalates (pronounced thalates) are widely used in cosmetics and body care products. They have been linked in several studies to interfere with hormones in the body, with potential risks to reproductive and thyroid systems. Other preliminary studies link phthalates to diabetes risk and asthma (Bornehag 2004; Stahlhut 2007; Kolarik 2008). Phthalates are used in fragrance, in skin care products and nail polish, just to name a few. EWG product testing in 2002 found phthalates in nearly three quarters of 72 name brand products. Triclosan is a common active or nonactive “antibacterial” ingredient found in liquid hand soaps, toothpastes, deodorants, acne treatments and increasingly in cosmetics. Over time, this ingredient can build up in the body and can potentially increase the effect of thyroid hormones. In one study (Fiss 2007) it was shown to also disrupt other critical hormone systems, such as both estrogenic and androgenic effects on human breast cancer cells (Gee 2008). Parabens have been used since the 1920s as a preservative in many cosmetics and personal care products. They help prevent growth of bacteria and mold in cosmetics and increase its shelf life. EWG reports of several studies that suggest parabens can disrupt reproductive hormones (Routledge 1998; Inui 2003; Mikula 2006; Pugazhendhi 2007). There are several forms of parabens. The most common in cosmetics include: methyl-paraben, ethyl-paraben, propylparaben, isopropyl-paraben and butyl-paraben. Side effects reported in studies include irritation of the skin or causing allergic reactions (Schamberg 1967; Soni 2002; CIR 2006). Other studies suggest parabens are estrogenic, in that they mimic the hormone estrogen, therefore disrupting normal function of the hormone system (Gomez 2005; Mikula 2006; Pugazhendhi 2007). Cancer has also been linked to parabens in other lab studies and to reproductive health problems (Oishi 2001, 2002; Byford 2002; Darbre 2003). While FDA limits the levels of parabens allowed in food and beverages, it does not regulate these chemicals in cosmetics and body care products. Sodium lauryl sulfate is found in many products including creams used to treat eczema. A recent study published in the British Journal of Dermatology warned against the use of this ingredient in creams for a variety of skin conditions. The study was based on a product called BP that is currently sold in the UK for the treatment of dry skin. The study found when healthy volunteers applied the cream to their forearms daily for a period of four weeks, its thickness was reduced by more than ten percent. The outer layer of the skin has a protective barrier layer which is the thickness of a sheet of paper and helps keep moisture in. The offending ingredient in the cream was found to be sodium lauryl sulfate (SLS), which was found to increase the permeability of the skin barrier and cause irritation. The researches concluded that with its use on damaged skin, negative effects can be even more dramatic. Evidently, SLS rubbed from a cream into the skin, thins the skin's protective barrier, making it more susceptible to irritation by chemicals. In recent years, there has been an increase in the diagnoses of eczema from five percent to 30 percent. Genetics and environmental factors play a role in causing skin conditions. For those individuals with eczema, the researchers recommended using creams and products free of SLS. Salicylic acid are found in natural form or synthetically made. The natural form is found in most plants, fruits or herbs in varying degrees. A common synthetic form is in aspirin. Most medical specialists do not test for salicylate allergy specifically, but increasingly many people are finding they do have salicylate sensitivity once they learn more about it. Salicylates are in many types of products including skin care, sports pain relief creams and cosmetics, as salicylic acid. It has anti-inflammatory properties and that is why it is in aspirin, pain relief medications, mouthwash, and toothpaste. Since salicylic acid is a natural part of herbs, botanicals and other natural ingredients, with constant application through creams and lotions with these types of ingredients, you could develop sensitivity as well. Dr. Paul R. St. Amand, MD is an endocrinologist and best selling author with Claudia Marek, What Your Doctor May Not Tell You About Fibromyalgia. He has found a simple and unique treatment for fibromyalgia (FMS). Through varying dosages of a supplement called guaifenesin, many have found relief from the devastating symptoms of FMS. However, he warns his patients not to take any products with salicylates in skin care and personal care, or the guaifenesin will not be effective. 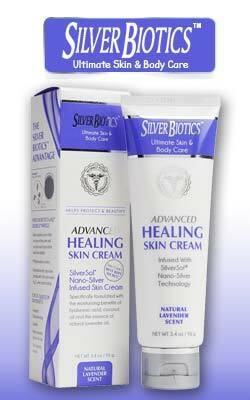 It's very difficult finding totally salicylate free products. Many brands depend on “natural” on their labels with a few herbs thrown in for marketing purposes. Plus, salicylates come in different chemical forms and names, and unless you are a chemist you will not recognize them. If you suffer with any skin problems, sensitivities or other symptoms listed above and have not found the right treatment to help, you may want to consider salicylate free products. Bismuth oxychloride has a history of being irritating and may end up causing you to have sensitive skin. It's a common ingredient in cosmetics. With all the variety of cosmetic brands in department stores and on shopping networks represented by famous ageless beauties, how can anyone make a wise purchasing decision? Keeping it simple is the best way to start. If you already have sensitive skin, it's best to look for companies offering products for sensitive skin. Make sure the ingredients listed above are not in them. Mineral makeup is a great safe alternative. However, some companies that sell mineral powder makeup do contain some of the ingredients listed above. EWG's Skin Deep website has ratings for different brands. You will want to visit their site and check your favorite brands.